Recycling not only serves as one of the cornerstones of the JPCM enterprise, but also embodies the spirit of renewal, efficiency and growth under which our investments are fostered. For nearly three decades, companies have turned to the JPI Group for their recycling and lean manufacturing needs. In an era where profits and margins are becoming increasingly difficult to sustain, the JPI Group has continued to provide its partners with opportunities to see growth where many cannot. The JPI Group is a multi-faceted recycling and manufacturing group with locations nationwide. Started as a small, family-owned business in northeastern Ohio, we have since expanded to provide our customers with unbeatable service and cost-effective options for their plastic needs. With nearly 30 years in the recycling and reprocessing industry, our experience has enabled us to progress in an ever-changing industry that demands adaptability and refined problem solving. 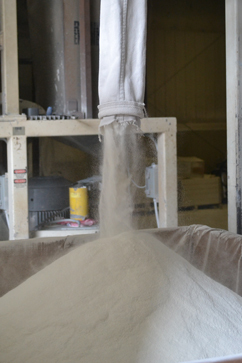 Specializing in grinding, compounding, sorting, pulverizing and separating; we have both the skills and capacity to provide our customers with tangible solutions to a variety of projects.